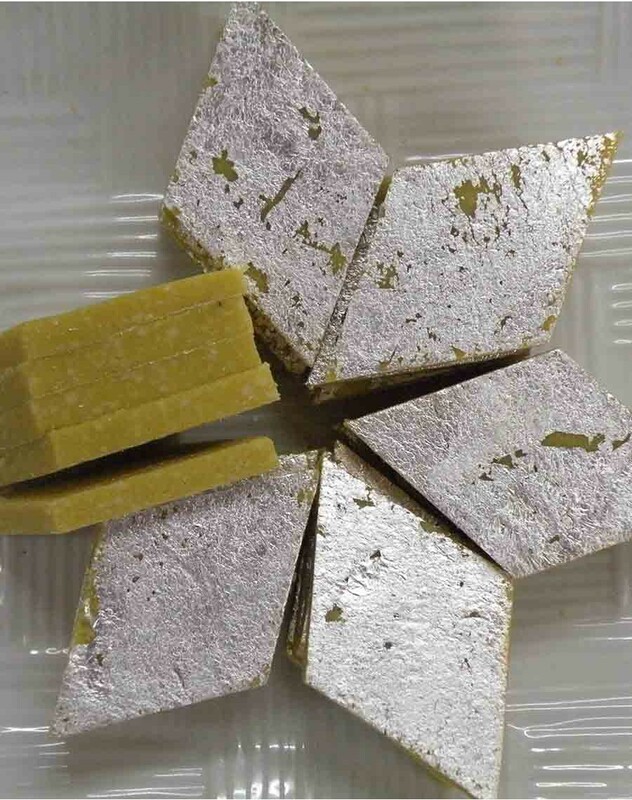 It is a traditional mouth-watering Indian Sweet. It is made from Cashews (Kaju), Kesar (Saffron) and sugar syrup. It is shaped like diamond and coated with a thin silver film also known as "Varakh".